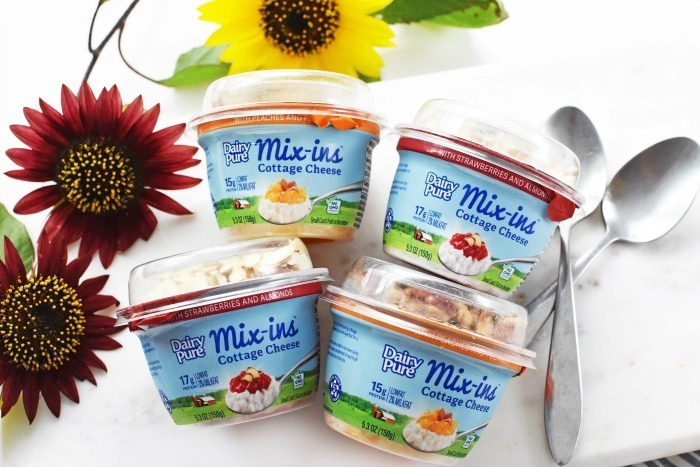 Thank you to the Motherhood for sponsoring today’s DairyPure Mix-Ins post. All views expressed are that of our own. These days, making sure I get enough protein in my diet is super important. Now that I am down 23 lbs on my weightloss journey I have been being extra cautious about what I snack on. Being conscious of everything I put into my body has helped me to shed the weight. While I am not yet to my goal and have plenty more to go, I am happy with the progress I have worked hard to achieve. 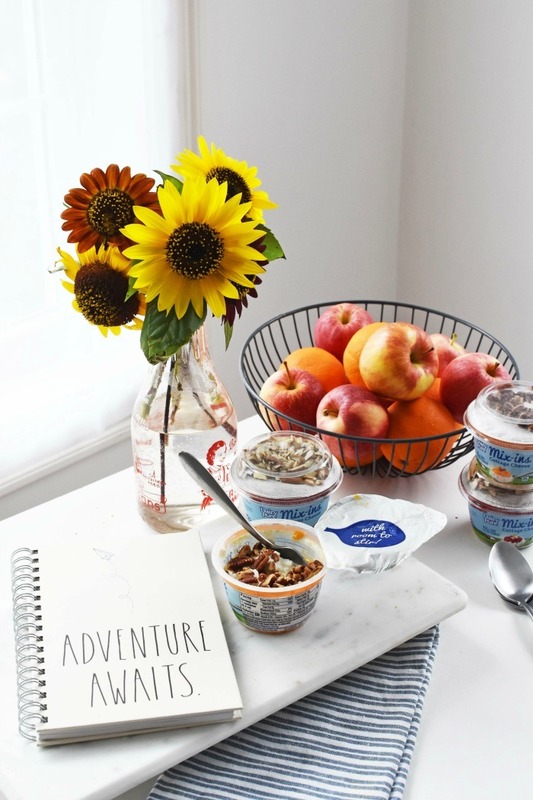 In the past couple of months, I have learned that protein-packed snacks are the best. They help me to meet my protein goals, and protein-rich foods keep me fuller, longer. I used to consume so many sugary coffee drinks and mindless carbs. But, with this smarter thinking, I feel satiated and not like I am missing out on yummy foods. Lately, my meals consist of salads, eggs, cottage cheese, and nuts. Dinners are more hearty with a protein, veggie, and side. 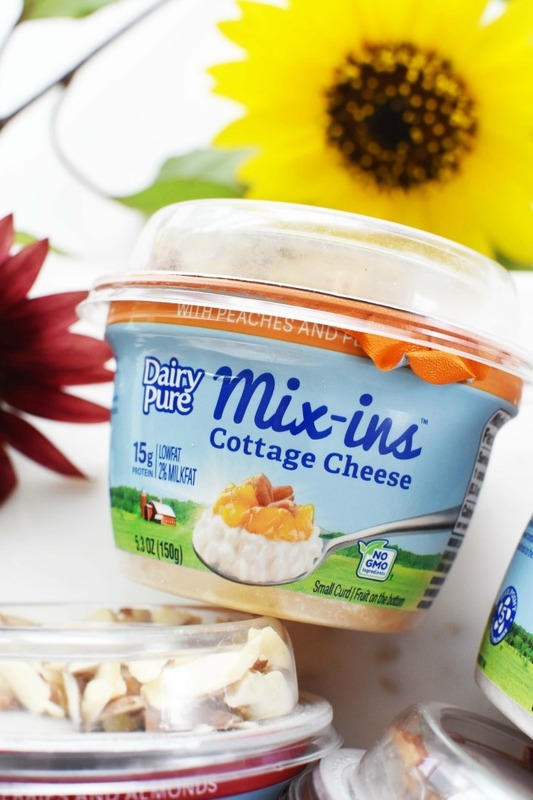 My snacks are wholesome finds like these DairyPure Mix-Ins. 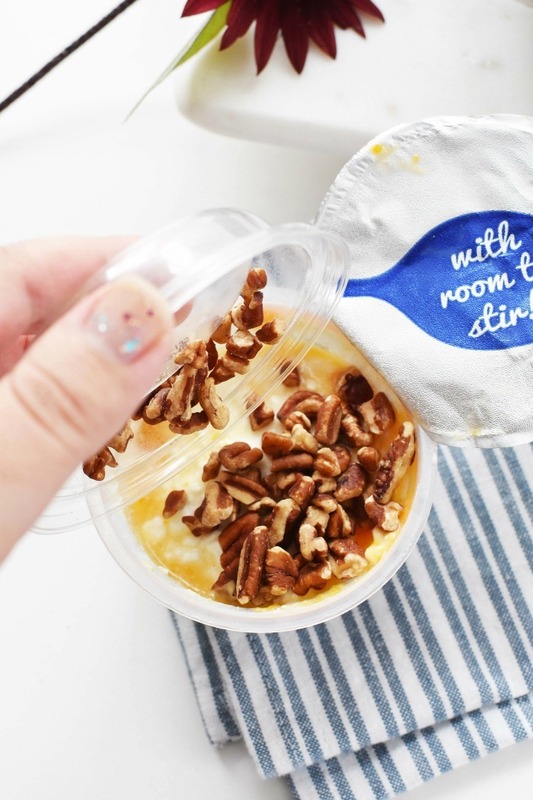 Available at my local Stop & Shop, these portable and inexpensive cups make for delicious snacking options. 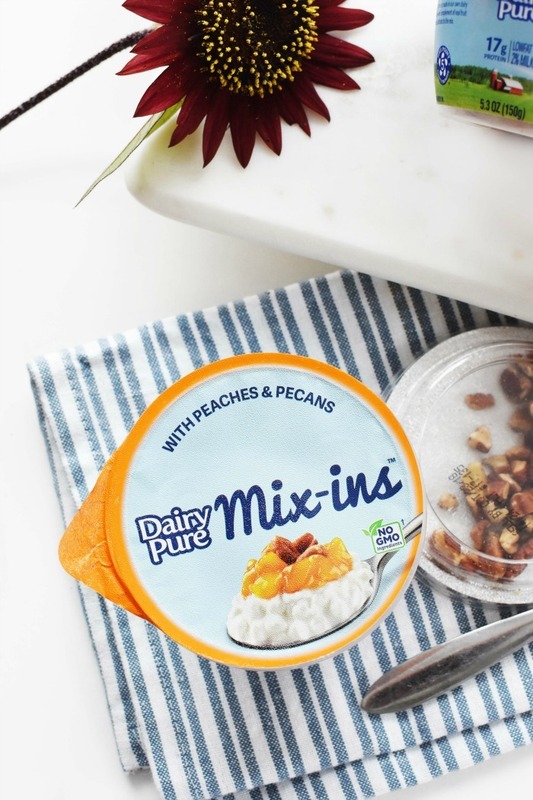 I love the Peach & Pecan and Strawberry & Almonds flavors the most. 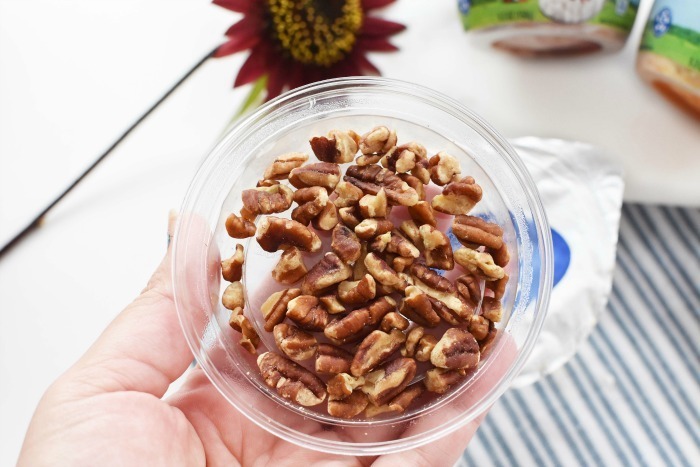 I love how you simply remove the lid, peel back the foil of the nuts, and then the foil on the cup. 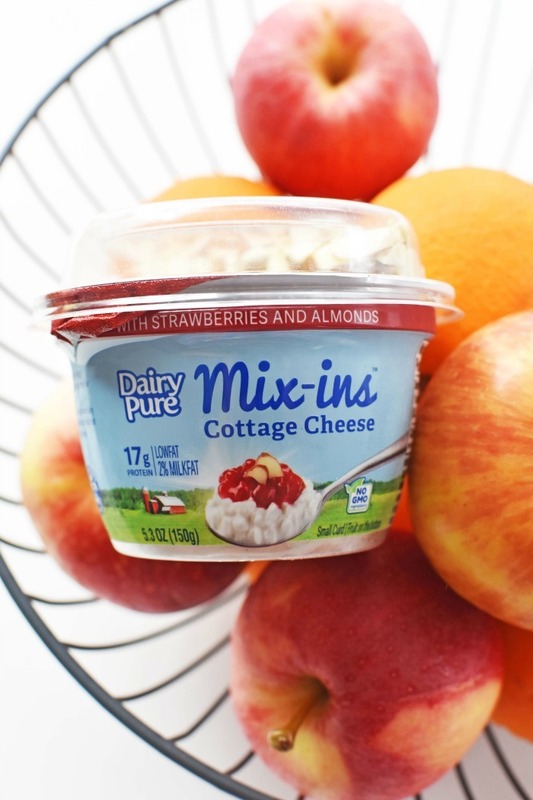 Inside, the small curd cottage cheese and fruit are mixed together. Add the nuts and mix! 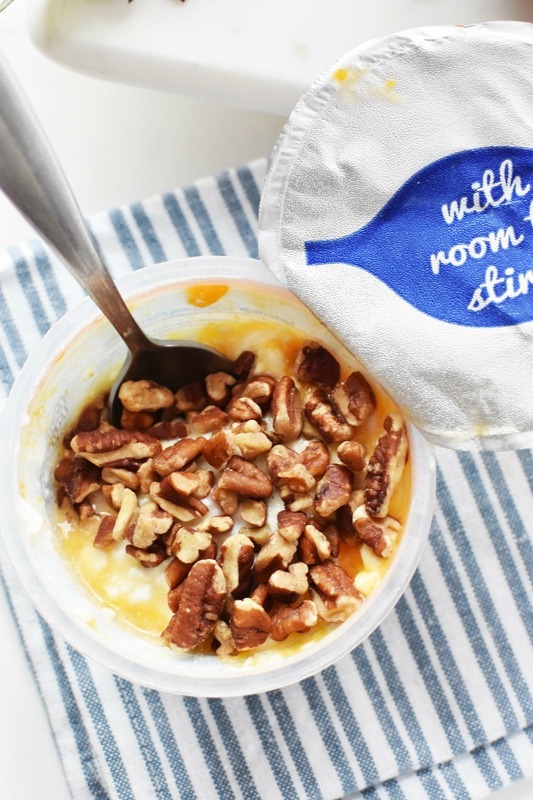 These protein-packed snacks are my fave for a snack and even breakfast. I love the fresh flavor and the time-saving component. 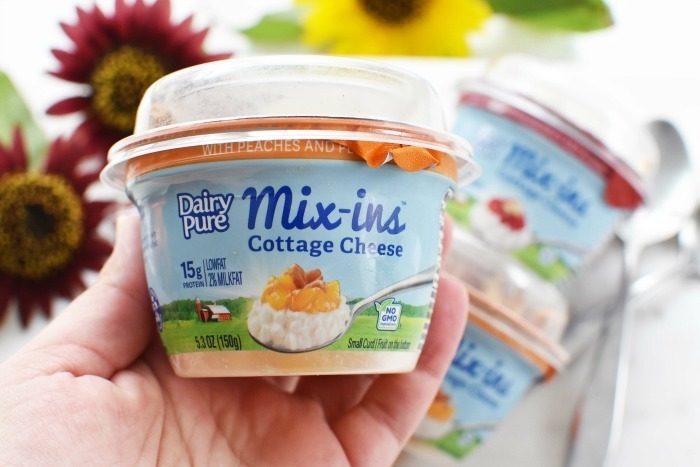 At under $2 these DairyPure Mix-Ins are a protein-packed snack idea that you will love! Each cup contains no artificial flavors, sweeteners, or growth hormones. 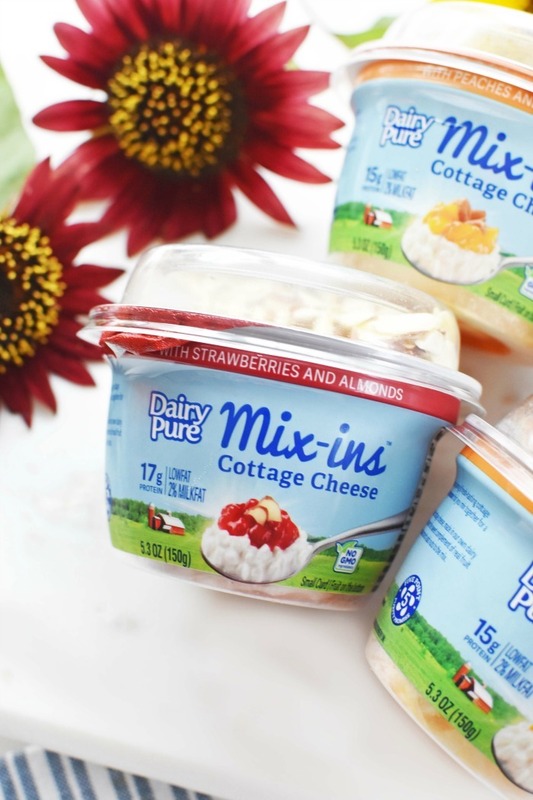 Learn more on the DairyPure site. These cups are also available in Blueberry & Pineapple. 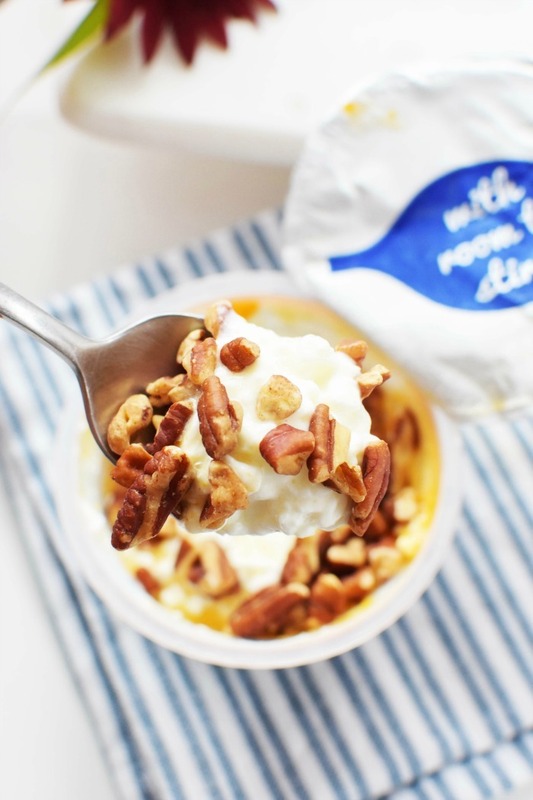 These are perfect for healthier after-school snacks for the kids. I’m going to have to stock up! This is so perfect for me! I’m a serial snacker, so if I have something that’s healthy and satisfying to reach for, that makes it so much easier for me to stay in shape. 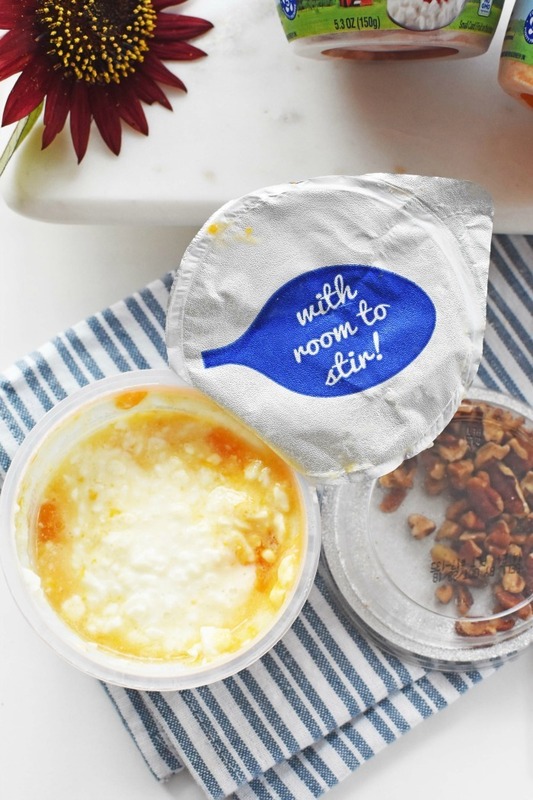 I thought this was yogurt at first look. 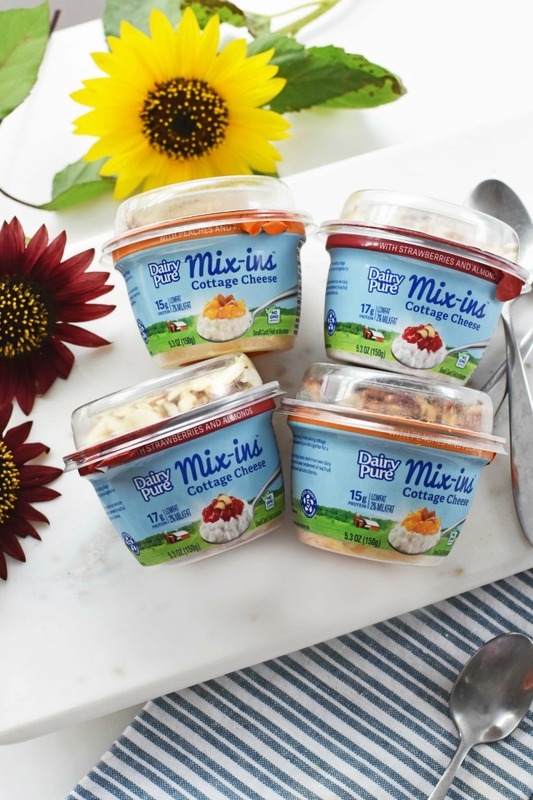 I never seen cottage cheese packaged this way before as a snack so this is different. I really love those flavor combinations! Definitely worth a try! I would stock my fridge with so many of these! I need to get in more protein and these look like a delicious way to do that. These look like some yummy treats! I love that you can mix-in the goodies!